Kim Eric Lilot, Wedding Band. 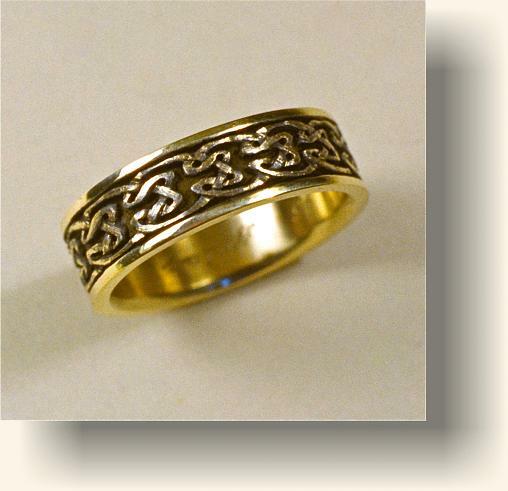 The design incorporates a Celtic Gorgon Knot pattern. 14 karat yellow antique gold.